Completed Mountain Glenn Part 2 with 3:00 minutes or more left on the clock. 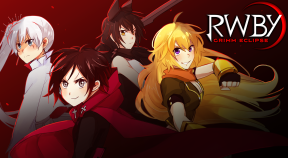 Played in an online match with all four team RWBY members present. Completed the campaign in single player. Reach rank 10 with any character. Killed 35 enemies with turrets during a single horde match. Played in an online match with Jaune, Nora, Pyrrha, and Ren. Go Team RNJR! Played in an online match with Ruby, Nora, Jaune, and Ren. Completed the campaign using Ren. Completed the campaign using Jaune. Completed the campaign using Nora. Completed the campaign using Pyrrha.